Cardboard balers that work well for plastic and mixed waste are a must for businesses looking to cut costs, improve productivity and have a positive environmental impact. But what if you don’t have a lot of room for a baler? You get the Kompakt KM 102, that has the size of a filing cabinet. That’s right. You have to see it to believe it. Set up a call with us today! 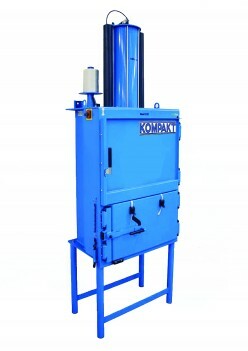 The KM 102 cardboard balers can be used for plastic and mixed waste making them a wise investment. You don’t need different machines blocking space and hampering efficiency. One does the trick. With a compact filing cabinet-style and size, this cardboard baler will take up very little room, allowing you to use the space for other revenue-generating activities. Don’t need balers for sale? Rent them out for a cost-effective solution instantly. Since you’ll be packing dense bales, you can cut down on bin collections and save money too! Increase staff efficiency with the KM 102 baler that’ll help your team pack away bulky, unmanageable cardboard, plastic and mixed waste with ease and speed. Reduce your carbon footprint by cutting down on collection frequencies. Plus enjoy the eco-friendly benefits of recycling your waste material in an efficient and effective way. 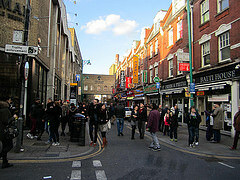 Almost all retailers use wheelie bins to dispose of their waste. For each bin lift, a fee is charged by the waste collection company. By compacting the waste and reducing the number of pick ups, retailers can save money. 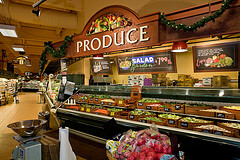 Supermarkets generally have high volumes of waste. Compacting the rubbish into the wheelie bins can slash the number of containers required and subsequently lower costs. How much waste is required to make this compactor financially viable? Usually anything more than 4 bin lifts per week. We'll always conduct a waste audit and cost benefit analysis to make sure it's viable for your business. We have various different rental, lease and purchase options available. Typically we offer a 3 or 5 year rental/lease option. Speak to one of our team and we'd be happy to talk through what's available.